Home Football Analysis Should Manchester City Prioritize Champions League Success this Term? It’s no secret that Manchester City wants to win the Champions League. The Sky Blues have not been able to make a mark in the competition despite domestic success. 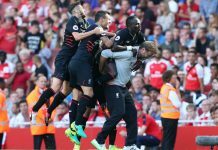 After sensationally losing out last season when they were knocked out by eventual finalists Liverpool, some members of the club’s hierarchy have come out to state the club’s desire to progress in the competition this term. But like Zinedine Zidane showed last season, sometimes a manager has to prioritize the competition over domestic success to achieve the aim of winning it. Call it a sacrifice if you wish, but the rigours of competing on all fronts can be overwhelming. That goes a long way to explain why treble winning sides are few and far between. Real Madrid had a poor season in La Liga last term, by their high standards. Los Blancos struggled to secure a top-four finish as they lost several matches, even to lowly rated sides like Girona and Real Betis at the Santiago Bernabéu. Meanwhile, Barcelona ran away with the league title unchallenged. The Blaugrana added the Copa del Rey to cap it up as their bitter rivals laboured to a third-place finish on the final league table. Ordinarily, the manager’s job will be on the line for failing to challenge for the title. But not this time. Zidane was instead praised and nominated for coach of the year. It shows the power of the Champions League. Of course, players like Luka Modric would not have won the UEFA Best Player award if not for winning the competition. Mohamed Salah made the final three shortlist. 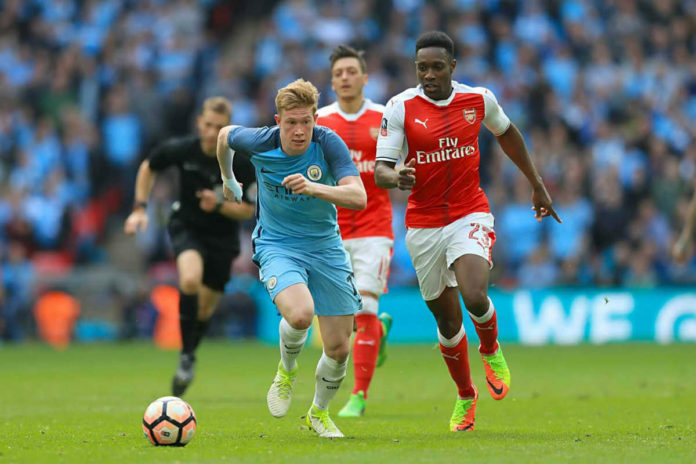 That means Kevin De Bruyne would probably have been crowned best player in Europe if Man City had won the competition. He would’ve probably won it even if City failed to win the Premier League as he also had a good outing at the World Cup. The standard for measuring success in Europe has become the UCL more than any other competition. So despite the Manchester City’s dominant display in England last term, the players still fell short of being recognised like those of Real Madrid and Liverpool. For the Citizens to truly be counted among the crème de la crème of top clubs on the continent, they will have to stand up and be counted as far as the Champions League is concerned. After achieving tremendous success in the competition with Barcelona, Pep Guardiola became a wanted man for that very reason. Two UCL trophies for the Blaugrana in three years while playing scintillating football meant he could hand-pick his next destination. After his one year break from the game, he chose to go to Germany. Although he maintained Bayern Munich’s dominance of the Bundesliga by winning the league title in each of his three seasons there, he could not replicate his Champions League heroics. Unsurprisingly, his three-year contract was not renewed. Manchester City moved quickly to secure his services, hoping he would find his magic touch again and help the club dominate Europe much like he did with Barca. Two years have gone by and Manchester City are no nearer to the Champions League trophy than they were before the Catalan took over. In fact, under his watch, the club has set the unwanted record of being the first English side to lose four straight matches in the competition. It, therefore, appears that Manchester City will not be able to fight on all fronts and win. Something has to give. The club may need to prioritize the competition if it really wants to win it. The manager will need to keep his best players fresh and focused on the competition and do all that is necessary to win matches.